I love finding weird stuff on the internet...wait...that doesn't look good now that I've written it down on a piece of paper the screen. I think what I mean to say, is...I like weird cars for sale on the internet. Yeah....much better. Weird can span the gamut between a jet powered Fiat to a BMW art car that is completely wrapped in Leslie Nielsen's old underwear...but I try to find something in the middle. 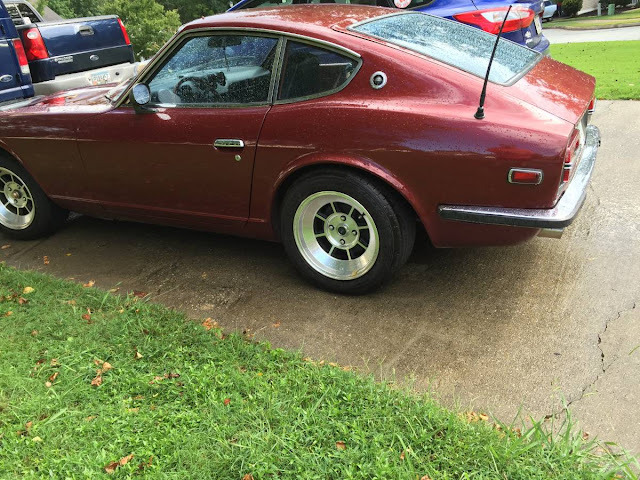 Like this 1971 Datsun 240Z with BMW M3 Power offered for $7000 in Newnan, GA via craigslist. Tip from Rock On! 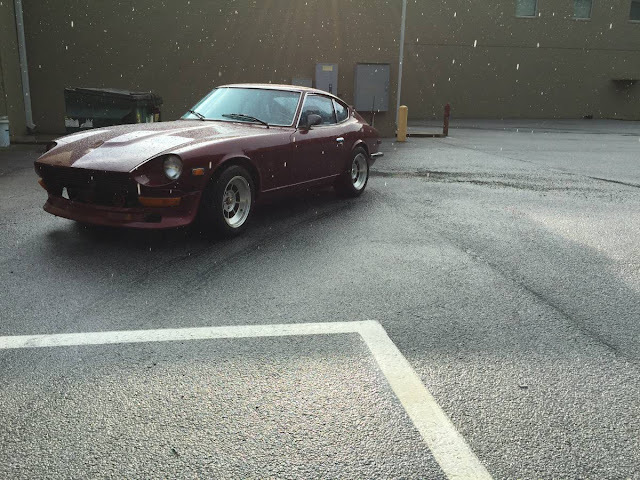 The 240Z was the Japanese sports car that proved to the world that the guys from the land of the rising sun could build a mass market car sports machine that was just as good (or better?) than the competition from the winners or losers of WWII. 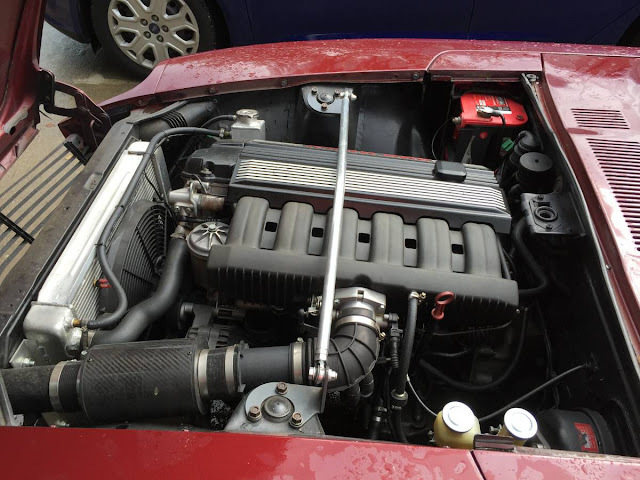 Pop the hood and you won't see the original 150 horsepower inline-6 that would have come from the factory and instead you see a BMW S50 from a BMW M3 that should be good for a healthy 240 horsepower and is mated to a ZF 5-speed manual gearbox (also from the German). This thing should move like a Japanese Zero powered by a Daimler-Benz DB 625 turbo-supercharged V12. If this was for sale near me I would probably buy it. Looks like it has sold. Pre-smog means a header and minimal exhaust mixed with an intake = wonderful music. Looks like a really clean swap with good attention to details, thats a nice change from many of the hack swaps that seem to be on Craigslist. Ad is now gone but I'm sure hoping the buyer slaps some Pirellis on this thing for the full Axis Powers effect. Having toured the WWII museum in New Orleans a few years back I would NOT want to come home to this thing after finishing that museum visit (said a guy who just purchased a GTI). oh my gosh, I would have given more than asking. This is WONDERFUL! More power while retaining that glorious straight-6 sound. Perfect. This is also what I would like to see done with a Triumph TR-6.